Home > How can Zambia’s growth be re-energized? If you lived in Zambia  or have been closely following the news about the country, you would know that Zambia had been growing at a steady pace in the last few years. Riding on the back of higher copper production, foreign direct investment in the manufacturing and mining sectors, government investment in infrastructure, and expanding private sector investment in construction and services, Zambia grew at an average annual rate of 6.4% between 2010 and 2014, which was more than the average overall growth rate of Sub-Saharan Africa. However, as commodity prices have dropped in 2015 it’s a phase that commodity exporting countries are going through currently as they feel the pinch of reduced export earnings. 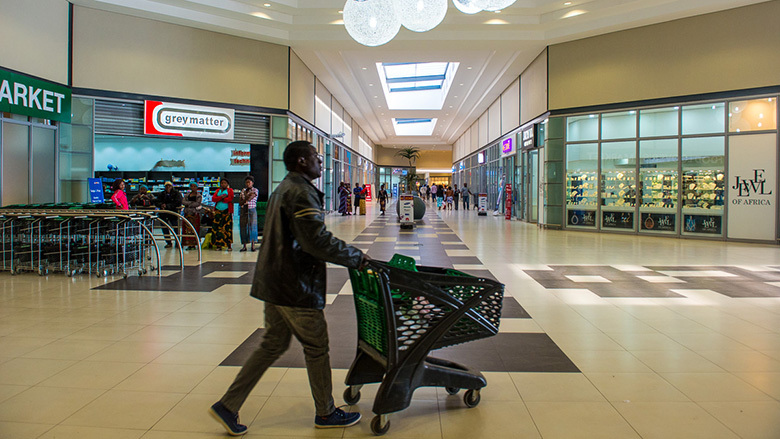 The Zambian economy is no different and has come under strain in 2015. We expect the growth of the economy to drop below 4% in 2015, the lowest since 1998. What has caused this? We find that external headwinds have intensified, including slower regional and global growth and the price of copper, the country’s dominant export, has been falling sharply since 2011. While many commodity-driven economies are facing this threat, it has been more severe in Zambia given that copper typically makes up 70% of exports. At the same time, domestic pressures have risen. Zambia faces a power crisis, repeated fiscal deficits have reduced confidence in the economy, low and poorly-timed rains have dented the agricultural incomes of 62% of the population living in poverty, and the mining sector has faced job losses. To further exacerbate the issue, the country’s currency, kwacha, has lost nearly 40% of its value against the dollar in 2015 and inflation rose to 19.5% in November 2015 (from just 7.7% in August). To analyze these economic trends further, the World Bank recently launched its sixth economic brief, Powering the Zambian Economy . In the brief, we highlight how it has become more expensive for the government to borrow from international debt markets. We show that the government needs to strike a balance between cushioning people from the impact of the power crisis by sourcing emergency electricity and reducing the fiscal deficit to restore confidence and create space to fix the underlying problems in the economy. Strengthening the fiscal position and restoring fiscal buffers are necessary to increase confidence in the economy, which can reduce the need for costly borrowing and build resilience against further external shocks. We make a case for improving fiscal conditions that can lower inflationary pressures and suggest to reduce interest rates in the future, allowing individuals and firms to plan their investments and contribute to inclusive growth in Zambia. Finally, we talk about the commodity price shock which once again highlights the need for Zambia to reduce its dependency on copper. The country can learn from global insights which can be used to inform a realistic strategy to guide structural reforms aimed at improving the business environment. As Zambia grapples with its economic challenges, we hope that this report can contribute to steering the country in the right path so that Zambia could weather the storm and shift back to higher and more inclusive growth.